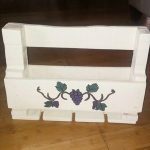 Bedroom decors matter a lot as a bedroom interior is place to relax, to live your fantasy and also to think about your future dreams in a comfortable mood! 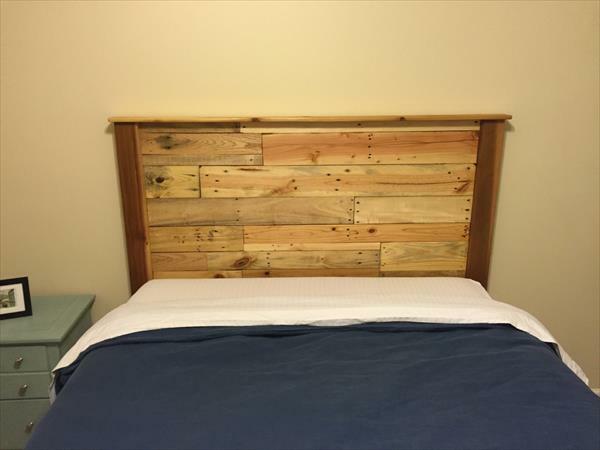 However white plotting a plan for bedroom decors, we do add a piece of headboard to your pallet bed which gives further the multiple choices for bedroom beautification! 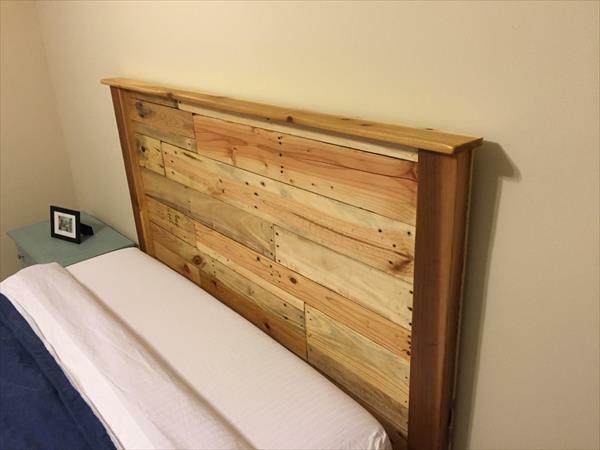 DIY just makes it easy now to get custom designs of wooden headboards on a budget, this DIY pallet headboard with delightful view has been installed using straight wooden boards of pallets! 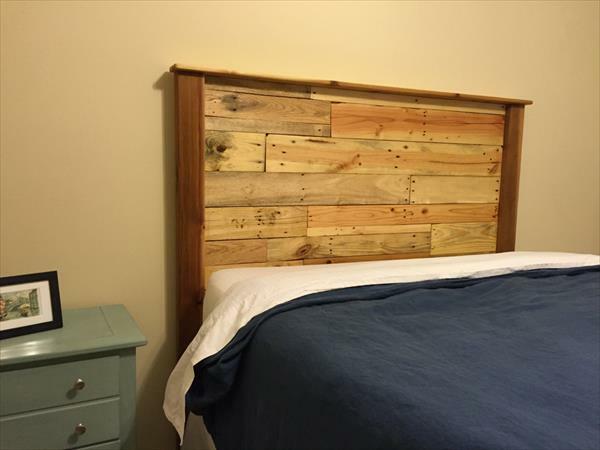 Headboard has been given sufficient thickness by packing the torn apart pallet boards tight and hence offers a visually attractive mantle level to showcase your items of decors like candlesticks, mural frames, toys and some antique art pieces! 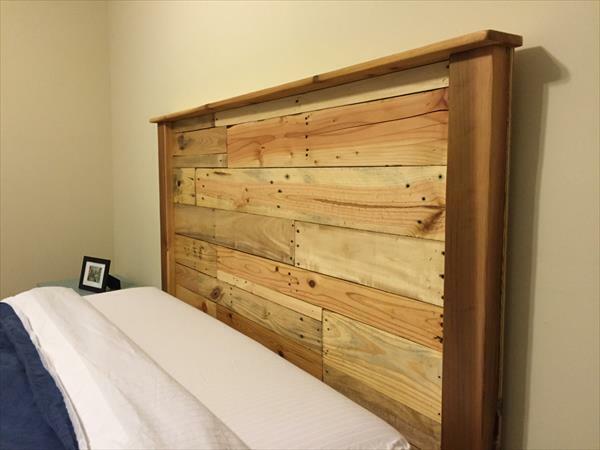 Pallet Headboard itself gives a rustic air to cozy ambiance of your bedroom and gives a mixed flavor of rustic and modern decors which is always mesmerizing! 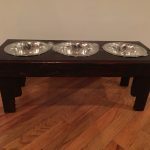 Wood grains have been given weather protection and a dignified brighter look by applying a coat of polyurethane!